We carry Montana Silversmith Jewelry! We offer a number of Ariat Shirt styles in both Men and Women sizes. We offer a number of Ariat Jean styles in both Men and Women sizes. We offer a number of Ariat Boot styles in both Men and Women sizes. We carry select Wrangler Shirts in a variety of sizes and stlyes. We carry a select variety of mens and womens Wrangler Denim Jeans. Large. Slim profile all-purpose equestrian riding helmet. 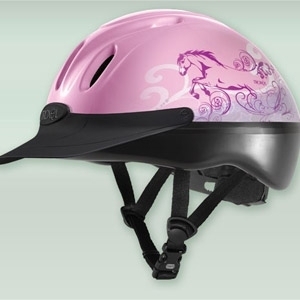 The Legacy is a great helmet for riders who want value, sleek profile, and Troxel quality in a schooling helmet. 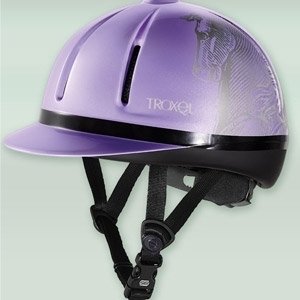 This stylish narrow profile helmet provides a great fit thanks to Troxel’s GPS II dial fit technology. Medium. With over a million happy customers, the Spirit is the most popular all-purpose riding helmet ever and its safety record speaks for itself. Add exceptional ventilation, the extended Soft-Tip™ sun visor and lots of fun colors, and it is obvious why riders choose Spirit time and again.